(Newser) – Note to Under Armour employees: Your strip-club bills will no longer be reimbursed. That's among the changes at the Baltimore-based sports apparel company amid reports of top execs' chauvinistic behavior—including parties with go-go dancers and strip-club outings with athletes and co-workers, the Wall Street Journal reports. 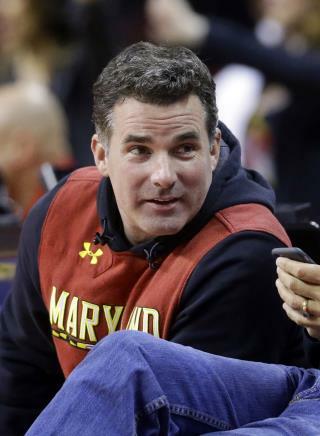 "Our teammates deserve to work in a respectful and empowering environment," says Chairman and CEO Kevin Plank, 46. "We believe that there is systemic inequality in the global workplace and we will embrace this moment. ... We can and will do better." That could be tough in a company where Plank has reportedly given senior roles to friends, and his brother, Scott Plank, left in 2012 after allegations of sexual misbehavior. What purpose will man have in the future? So if everyone gets behind these movements, how the heck are peelers supposed to put themselves through school so they don’t have to strip anymore? Men, sports, attractive women and strippers go hand in hand. Some women don’t WANT to be anything more than eye candy when they are young.